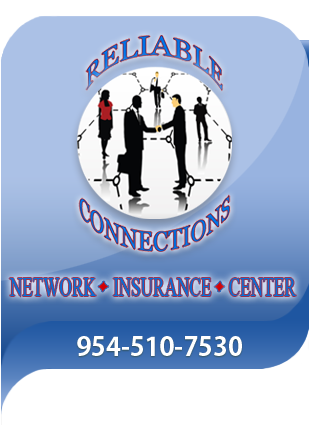 Network Insurance Center is an Auto Insurance, Home Insurance, Business Insurance, Commercial Insurance, Flood Insurance, Motorcycle Insurance, Renters Insurance, Life Insurance, Boat Insurance Agency located in Coral Springs, Florida. We have been serving Coral Springs, Fort Lauderdale and the surrounding cities in South Florida for over 28 years. We strive to provide the best rates for Florida residents. We know how important it is to have the right coverage, and we are dedicated to using our Insurance Expertise to find the right plan for you. Rather than serving the needs of a big Insurance Company, we represent several of the best insurance providers to find each individual client or family the best coverage at the best price allowing for personalized plans and the best service possible. At Network Insurance Center, we work for you! Whether you have the ideal history, preferred companies desire, or a not so perfect history, we find the right coverage, with the best company, at the best price for you. Use any of our convenient forms located at the left for policy service directly from your home or office. As an independent insurance agent we can offer the right coverage with the personal touch you would expect from your neighborhood insurance agent.